Group Indroduce - SINOLIFT MATERIAL HANDLING EQUIPMENT CORP. The SINOLIFT Group is a worldwide leading provider of forklift, warehouse equipment, Neon Products and other industrial equipments. 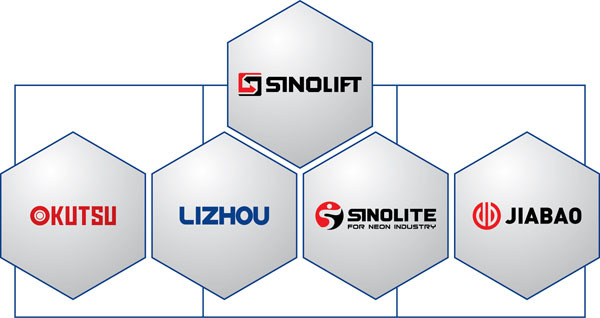 The SINOLIFT group, with its OKUTSU, ,LI-ZHOU, and SINOLITE, JIABAO etc brands, is the worldwide marker leader. it employed over 5,00 people and generated revenue of more than 12 million. With representation in more than 100 countries, SINOLIFT is becoming a global player and set the benchmark for quality, innovation and profitability in the industry.